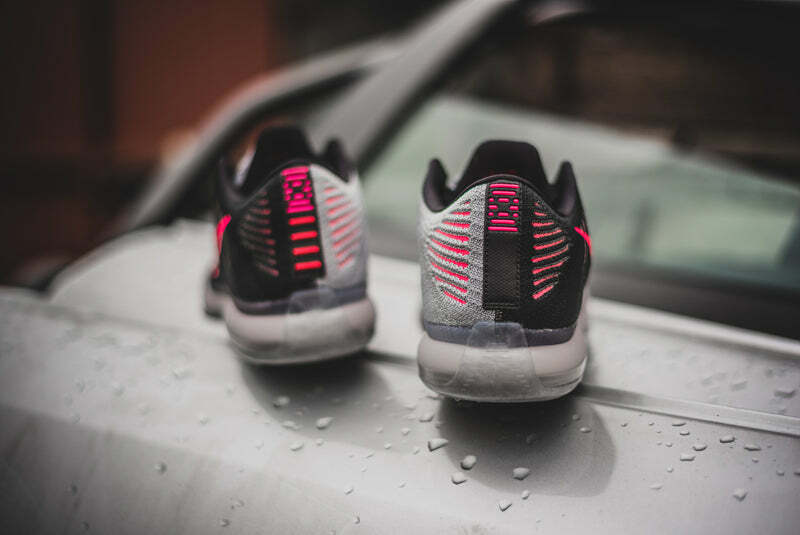 The Nike Kobe X Elite Low ‘Mambacurial’ pays homage to Kobe Bryant’s love of football or soccer, as well as to Nike’s most legendary football boot – the Nike Mercurial. 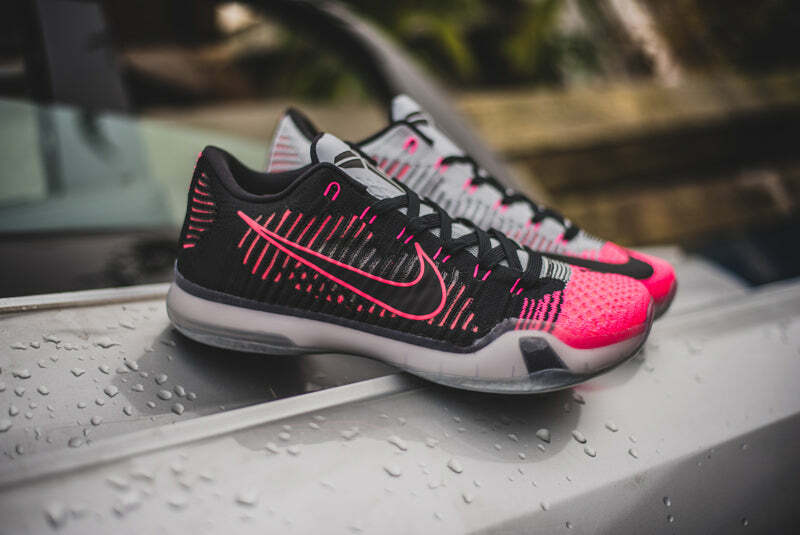 This isn’t the first time that a shoe has featured the ‘Mambacurial’ colourway though, as this colourway graced the Kobe 8 but in Red Plum and Electric Green, with the traditional Mercurial branding. 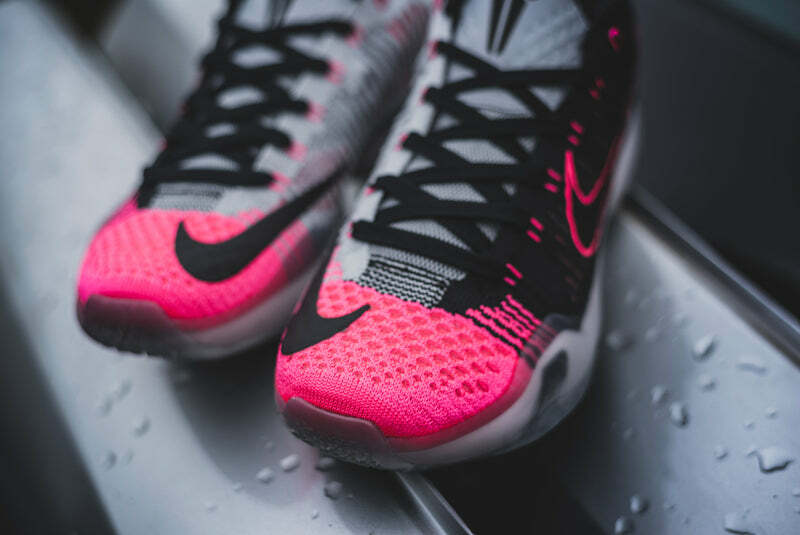 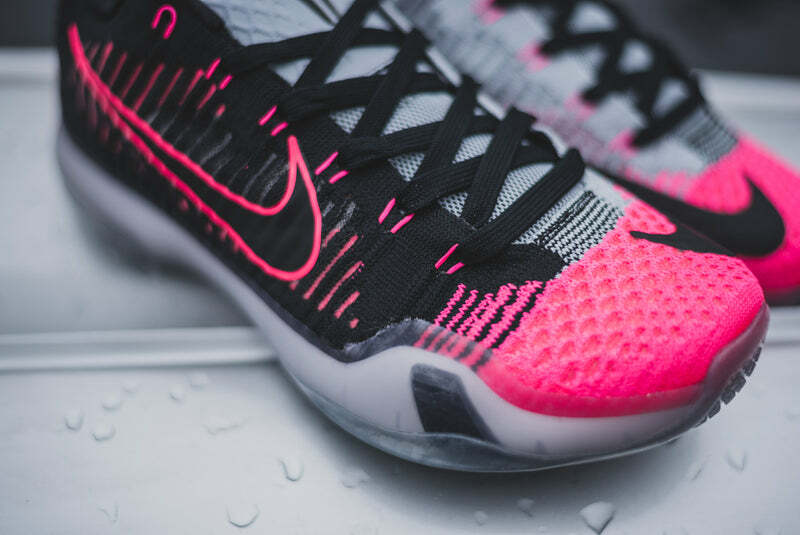 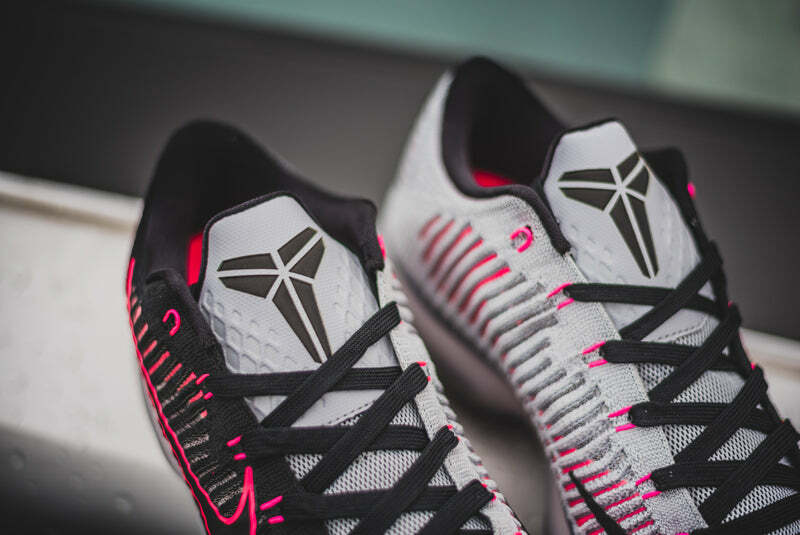 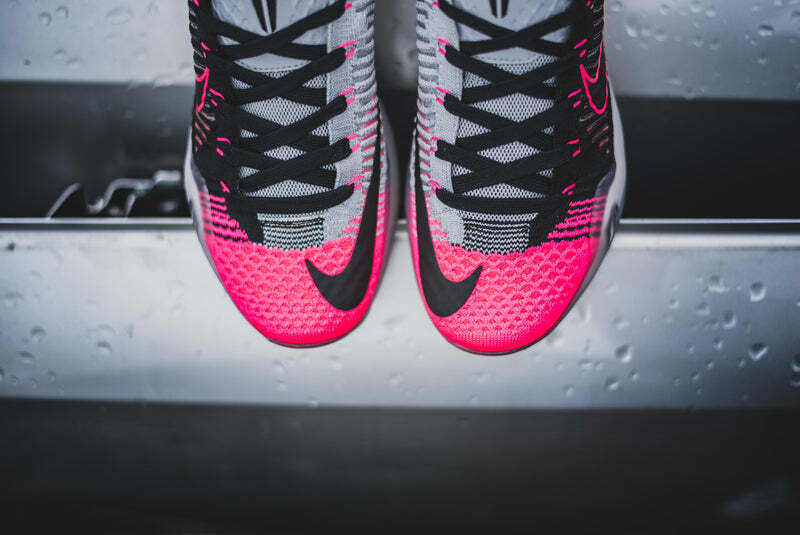 However, this Nike Kobe X Elite Low ‘Mambacurial’ is dressed in pink, black, and white Flyknit, and with the Swoosh positioned on the toe which is typical for the Mercurial, however, this pair lacks the large Nike branding on the medial side.